Car Hood, oil on panel, 24 x 24 in. House, oil and wood stain on panel, 24 x 24 in. Figure in Three Sunsets, oil and wood stain with relief carving, 24 x 24 in. Echo, oil on wood relief carving, 24 x 24 in. Football, oil and wood stain on panel, 24 x 24 in. Two Lines Rotated 90 Degrees Counterclockwise, oil and wood stain on panel, 24 x 24 in. 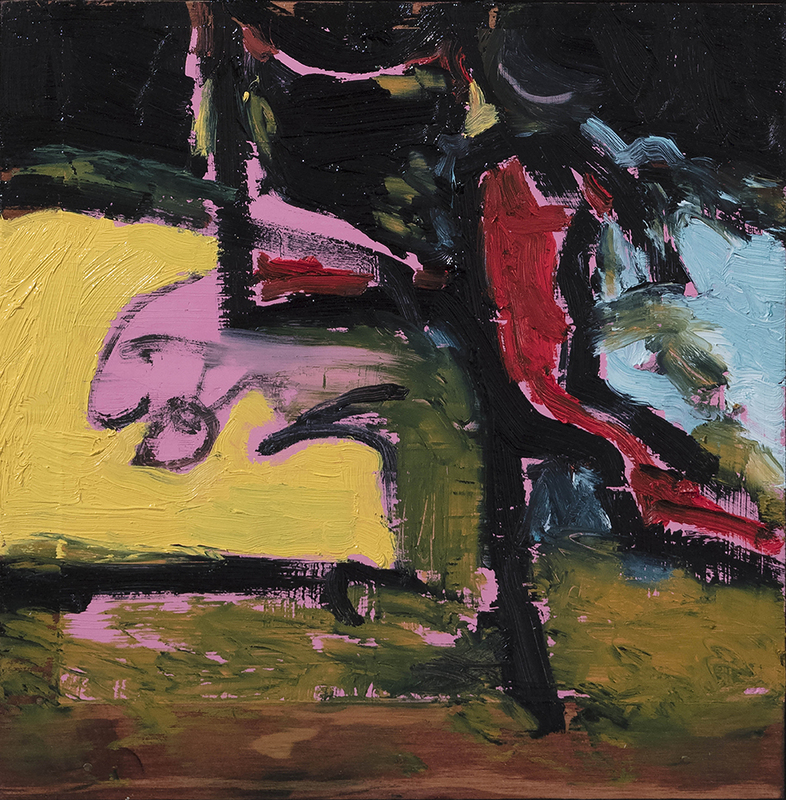 Brooke Walking, oil and enamel on two panels, 48 x 24 in., 48 x 36 in. 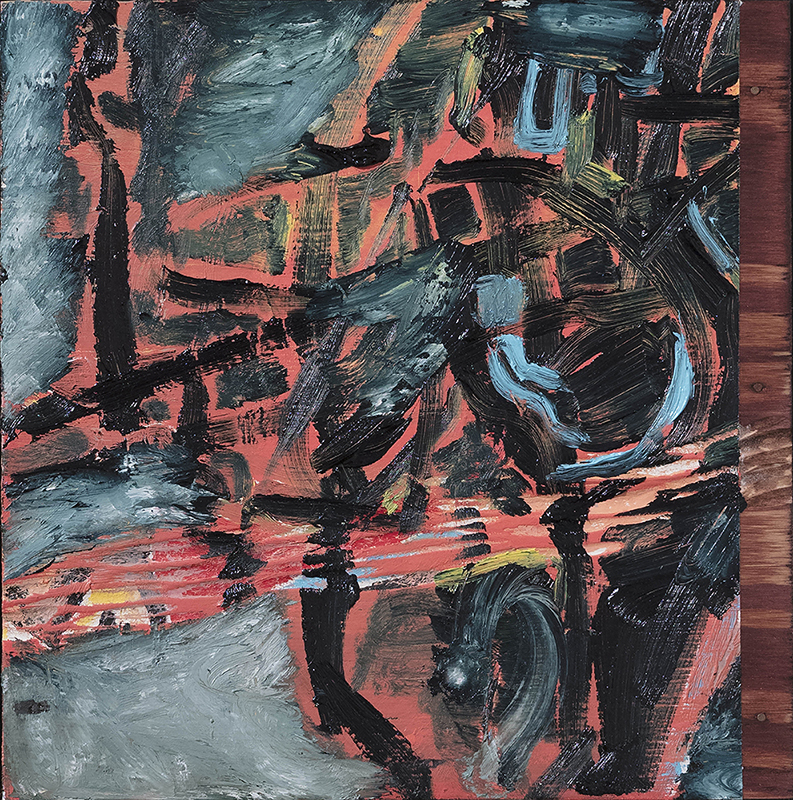 Nail Sky with Line, oil on panel, 24 x 12 in. Nonsensing I, wood stain with relief carving, 12 x 12 in. 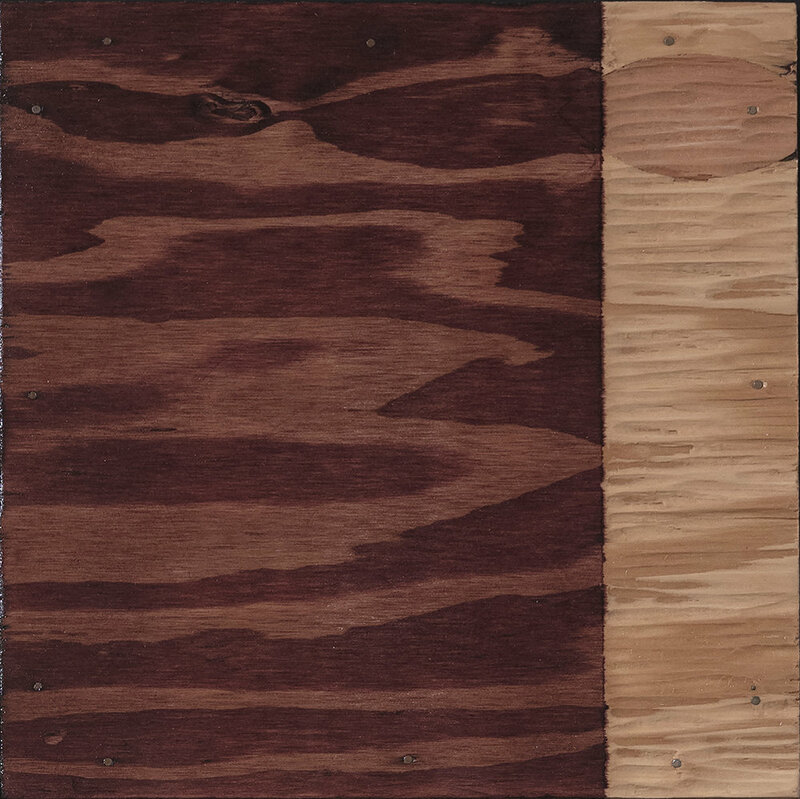 Nonsensing II, oil and wood stain on panel, 12 x 12 in. Nonsensing III, oil and wood stain on panel, 12 x 12 in. Norma Jean, oil, acrylic, rabbit skin glue on canvas, 66 x 96 in.